We lived in Northern Kentucky for about four years before moving back to Cincinnati, Ohio a few months ago. I took my Master Gardener classes in Northern Kentucky and attended lots of events in the area. Cincinnati and parts of Northern Kentucky are very close, but I do have a 30-40 minute drive now to the places I used to go all the time. 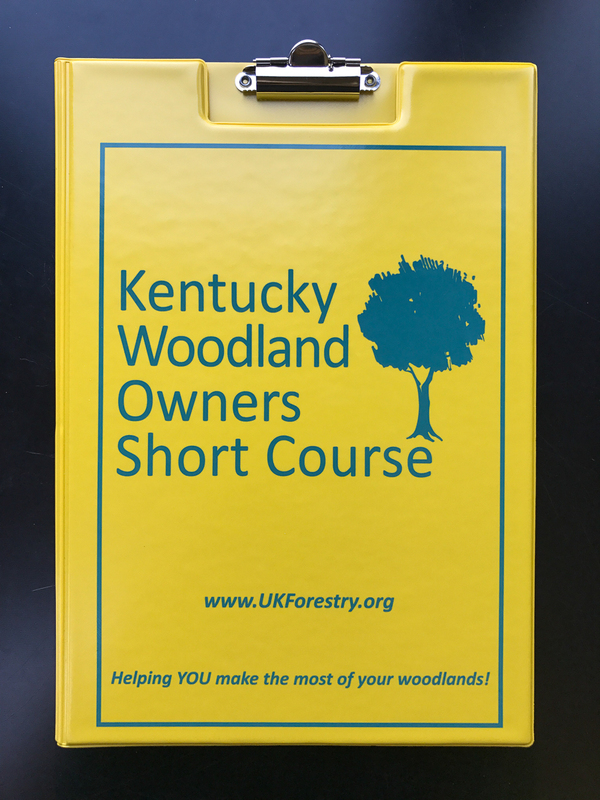 I still hear about a lot of events in Northern Kentucky, and recently attended one called the Kentucky Woodland Owner’s Short Course. 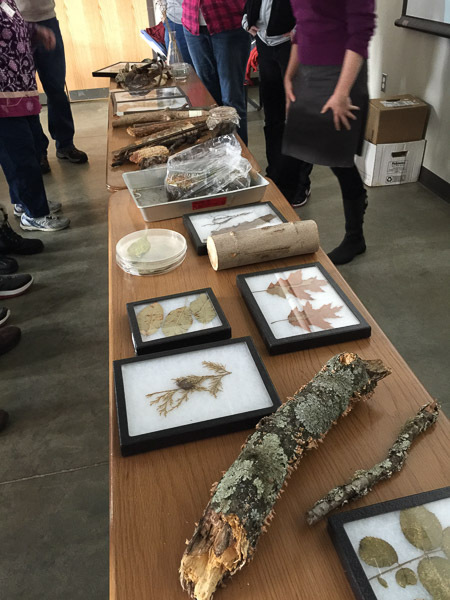 The class was offered by the UK Forestry Extension along with Kenton County Extension office, Kentucky Division of Forestry, Kentucky Department of Fish ad Wildlife Resources, and many more! One of the most valuable parts of the course were all the resources and contacts that were there. There were two tracks offered: the under 10 acre track and the over 10 acre track. They differed a little in the topics they covered, which I appreciated. I don’t have the same goals with my 5 acres as someone with hundreds of acres! 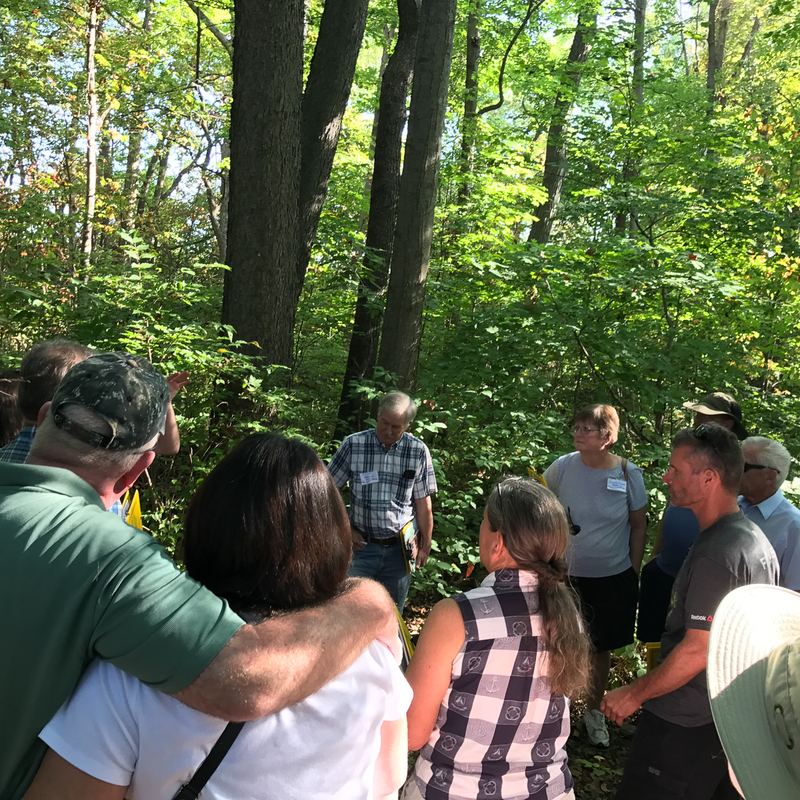 On the less than 10 acres track, we started the day with a field trip, which was across the street from the meeting area. It was the early morning of a soon to be hot day, but nice and cool in the covered woods. 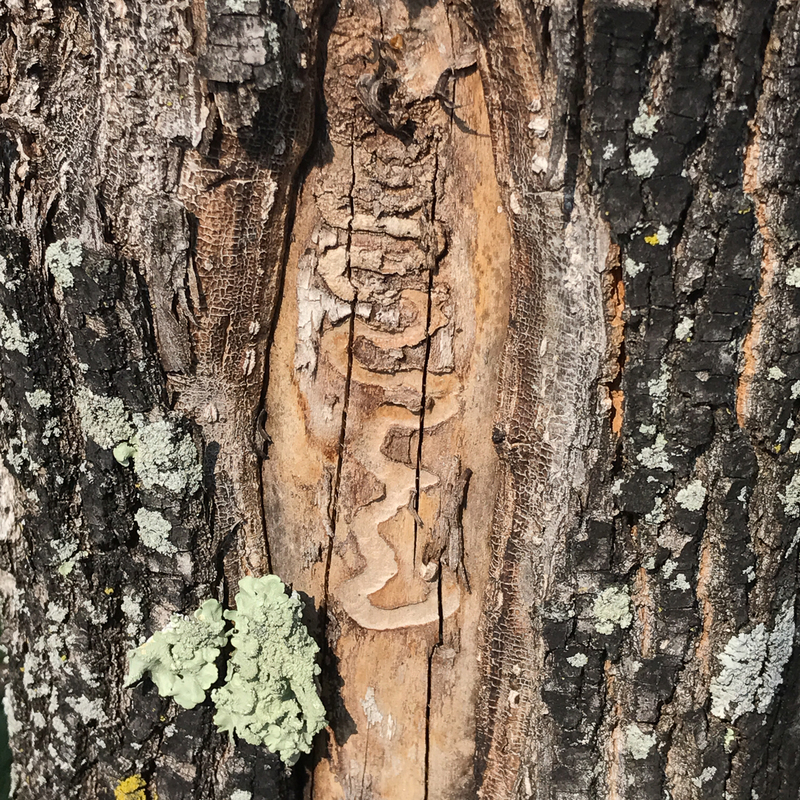 I learned about the Bradford Pear/Callery Pear and how it spreads through the area despite being “sterile”. 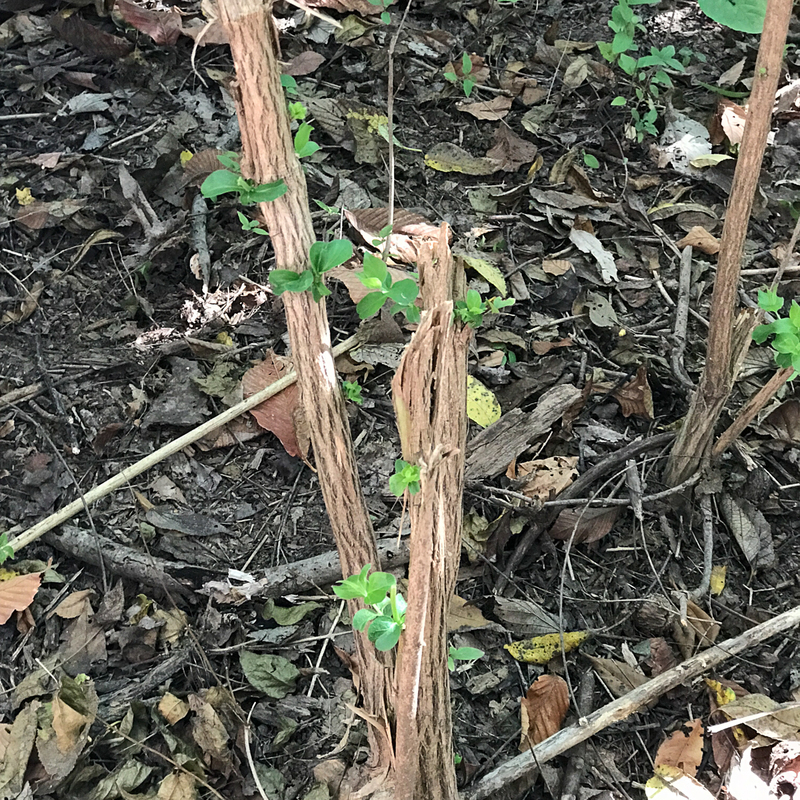 We watched a demonstration on the best ways to remove bush honeysuckle, which, spoiler alert, is terrible. 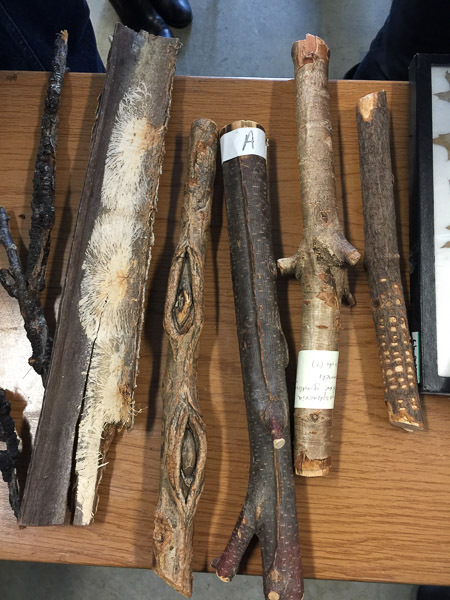 A little further down the trail we talked about backyard woods and wildlife practices – nuisance wild animals, invasive insects and some resources for common questions. There were topics covered in the larger acreage track that I didn’t sit in on. They covered timber sales, trespass issues, hunting land leasing, and estate planning. I think having the two tracks was great to separate some of the topics that weren’t as applicable to both groups. It was an interesting day! The topics were broad and provided an entry amount of information. There were valuable nuggets throughout the day and the contacts and resources were useful. 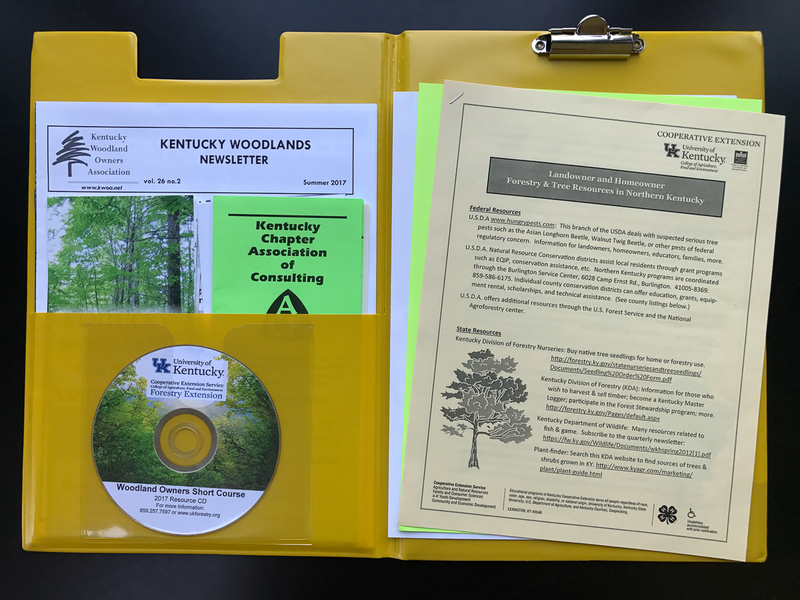 I walked away with packets of contacts for forestry and tree resources, lists of certified arborists, contacts of who to reach out to with questions, and a CD full of papers, books, articles and related information to go through as I need it. 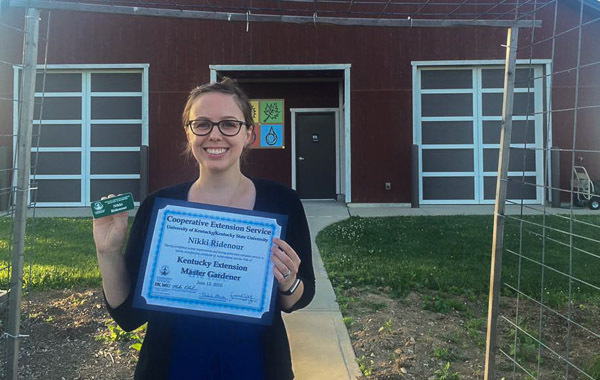 I had the opportunity to go through the Master Gardener program in early 2015 at the Campbell County Extension Office in Northern Kentucky. I would definitely recommend it to anyone looking to learn more about local horticulture! According to Wikipedia, the Master Gardener Programs “are volunteer programs that train individuals in the science and art of gardening. 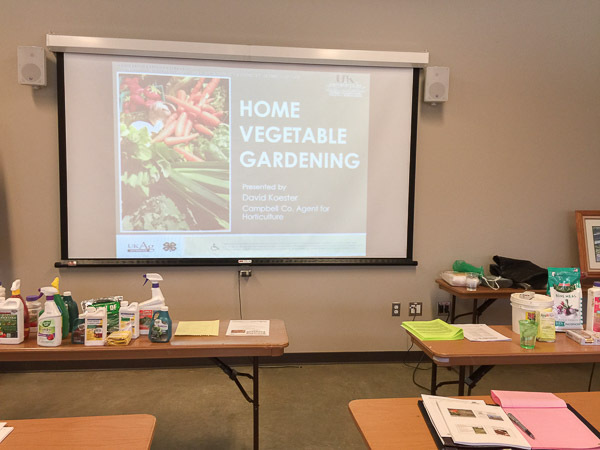 These individuals pass on the information they learned during their training, as volunteers who advise and educate the public on gardening and horticulture”. The Master Gardener program is offered through the extension offices of various universities. Northern Kentucky counties are extensions of the University of Kentucky and Cincinnati is an extension of the Ohio State University. In general, the extension offices are amazing resources for local farms and home gardeners. 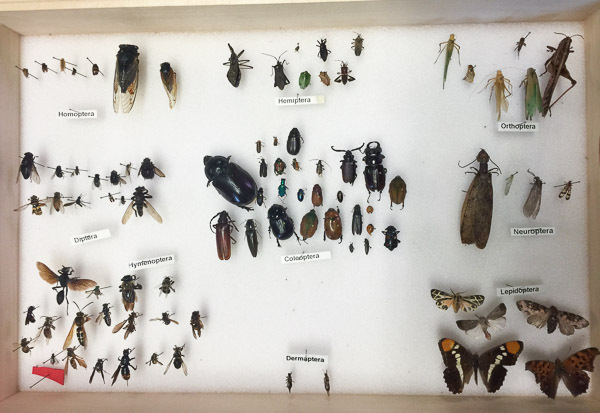 They offer services such as soil testing, disease and insect identification, classes on a wide range of topics and advice on pretty much anything plant-related. The Northern Kentucky and Cincinnati programs are the same certification, just led by different universities. I’m not sure how the program is structured in Cincinnati in comparison to Northern Kentucky. I can tell you about my experience with the Northern Kentucky program, and pass along that I’ve heard the Cincinnati version is similar. 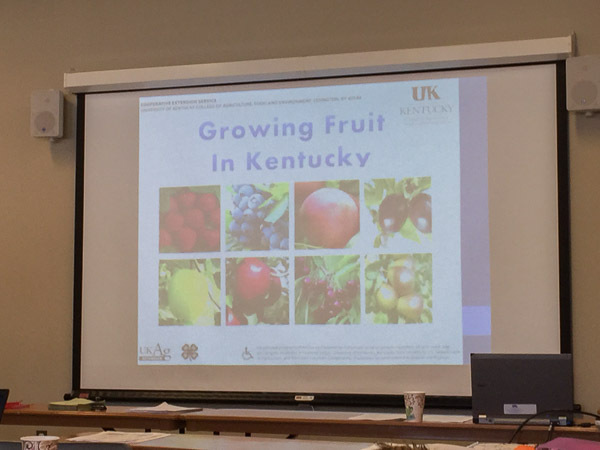 Northern Kentucky Master Gardener training rotates among the three counties, Campbell, Kenton and Boone. You don’t have to be from that county to attend – anyone from the Northern Kentucky / Cincinnati area can apply. There’s an application process with references, a fee (which you can earn part of back by completing volunteer hours in a timely manner), and a background check. The background check is for the volunteer portion of the program, since you may be working with the public, children, etc. The Northern Kentucky training involves about 80 hours of classroom learning. 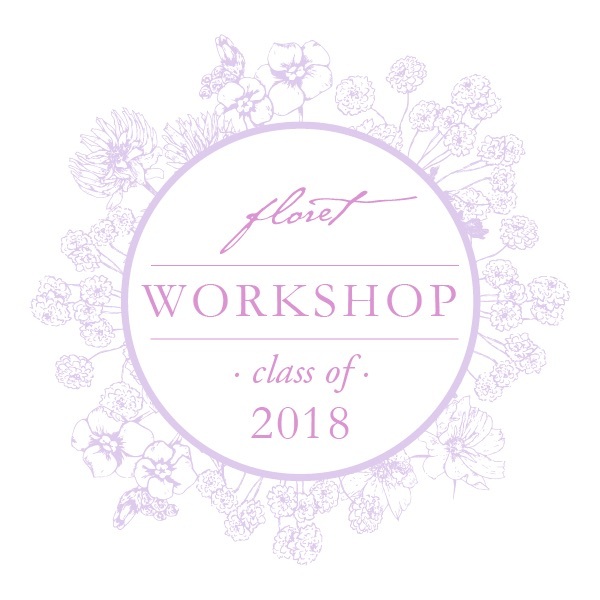 We had classes on Thursdays from 9:30 a.m. – 2:30 p.m. starting at the beginning of December and wrapping up at the end of March (16 weeks). This classroom time covers a lot of material, and it can definitely be a lot to take in. There’s a test at the end to pass the training that shouldn’t be taken too lightly! 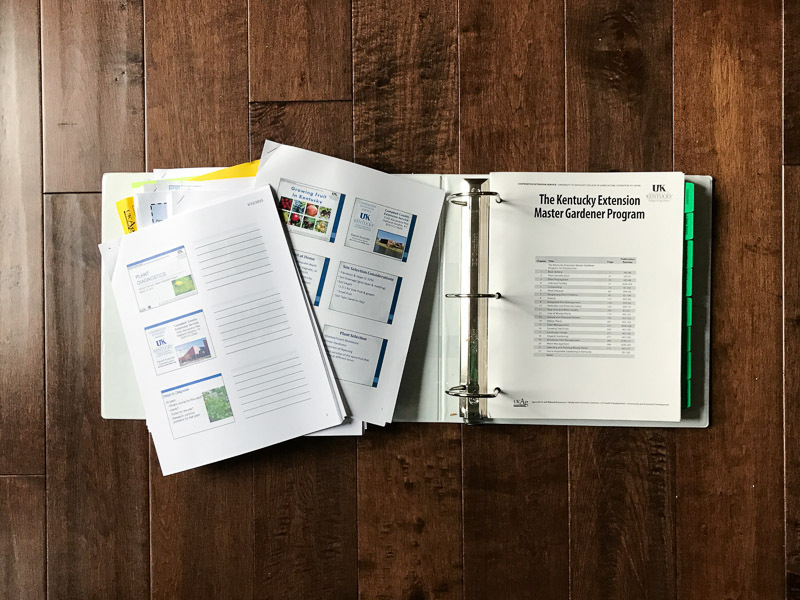 At the beginning of the classes you receive a hefty 3.5″ binder with study materials. It’s about a third full when you get it, but every class you add more and more to the binder until it’s completely full by the end! After the classroom training, you start on the volunteer portion of the certification. Hours can be completed the same year, or you can take a full year to complete them to graduate the next year. There is a higher hour requirement and more of them have to be fulfilled at the extension offices for that first certification year. All following years are considered recertification and require fewer hours and are a little more flexible on where they can be completed. There are many approved locations both in Northern Kentucky & Cincinnati to complete volunteer hours. There is also a process to submit new places for consideration as an approved site (provided they meet requirements like being a non-profit, have community impact, etc). In addition to volunteer hours, during recertification years you have educational hours that need to be fulfilled (the certification year training counts as all the education you’ll need that first year). 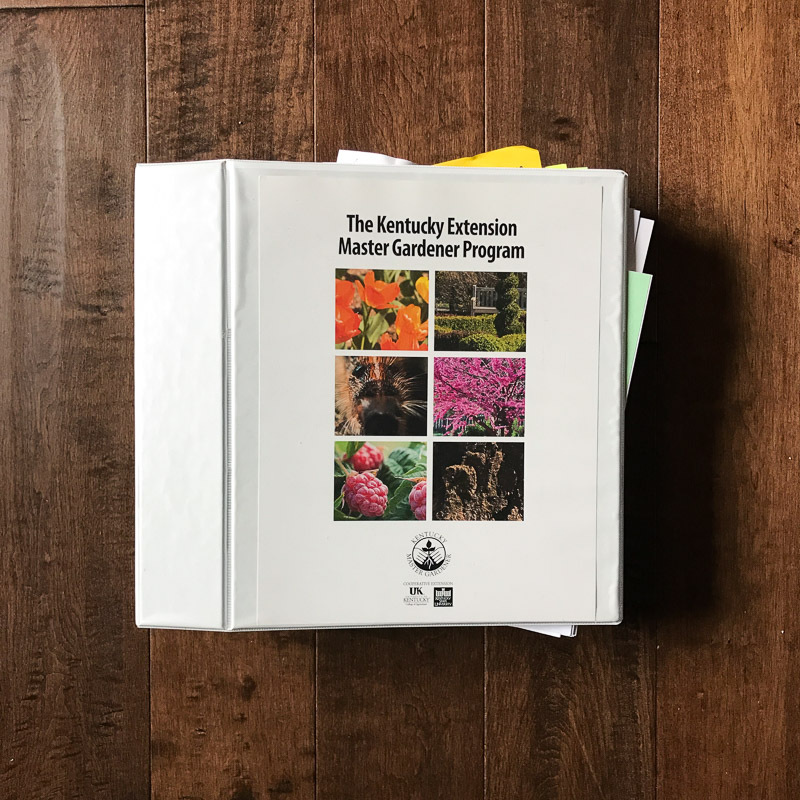 All of the extension offices offer interesting classes pretty regularly, or you can count classes taken at places like the Civic Garden Center or the Cincinnati Zoo & Botanical Garden. One of the criticisms I’ve seen about the Master Gardener program is that because they are taught with connection to the bigger commercial agriculture universities, there’s not much knowledge or focus on organic or ecologically-friendly practices. While I can see this happening (since the extension agents deal with many farmers looking for answers with chemicals), I always felt like we were presented with an organic option, if there was one. I would say MOST of the participants of the class used organic practices. Actually this leads me to one of the things I really liked about the class… you learn a LOT from the participants of the class as well. Many of the participants in my year had been farming and gardening for decades and had a wealth of knowledge to share. I was usually just as busy scribbling notes during conversations and breaks because they had experimented with so much specific to our area. The other criticism that I hear come up is that a few hours of classes and some volunteering doesn’t make you a Master at anything. People get really bent out of shape about the name of the program. No one who has gone through the program feels like they know everything, we still look stuff up in our enormous binder, Google or ask friends. It may be a lofty name, but I see it more as the commitment to continuing education, community and volunteering. 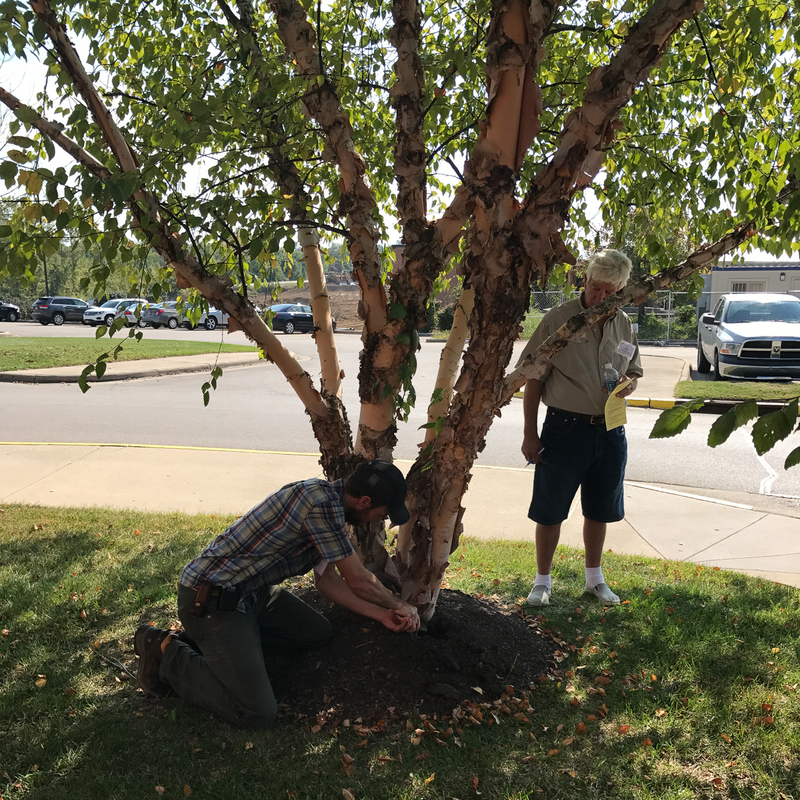 Everyone in the class is interested in sharing horticulture knowledge with others, often at schools and public events, or just quietly weeding and slowly improving grounds for our favorite non-profits. You may hear about Master Gardeners giving out incorrect information to the public – well, so does the internet. I personally have never encountered anyone in my hours of volunteering purposely giving out false or misleading information. Gardening is an art and a science (and maybe even part folklore) and to be honest, sometimes we get asked really specific or off-the-wall questions. We do the best we can, like everyone else. My continuing experience with the Master Gardener program has been wonderful. I’ve had a lot of fun volunteering at different sites with other plant nerds. I find the classes for the continuing education hours interesting enough that I’d take them even if I didn’t need them for recertification. 1) We covered a lot of topics a little bit, which then let me deep dive into what I was most interested in on my own after the classes. 2) All the information presented was tailored to our regional or even super local growing area. Four seasons, clay soil, high humidity… the actual conditions we deal with in the garden around here. 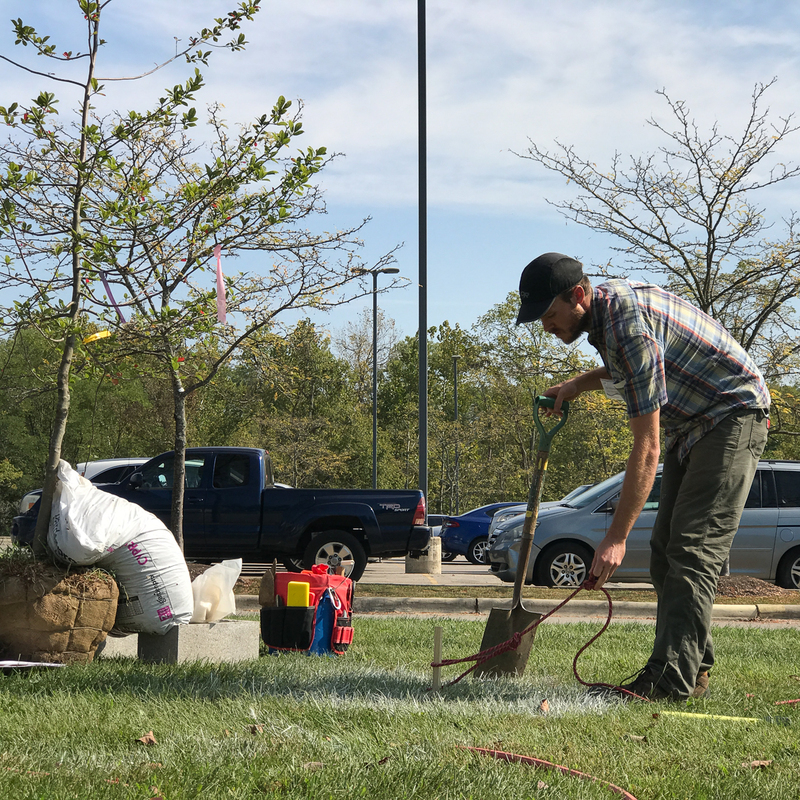 With topics like vegetable gardening, fruit trees, brambles and lawn management – you’ll hear specific recommendations based on plant trials and performance in our area. 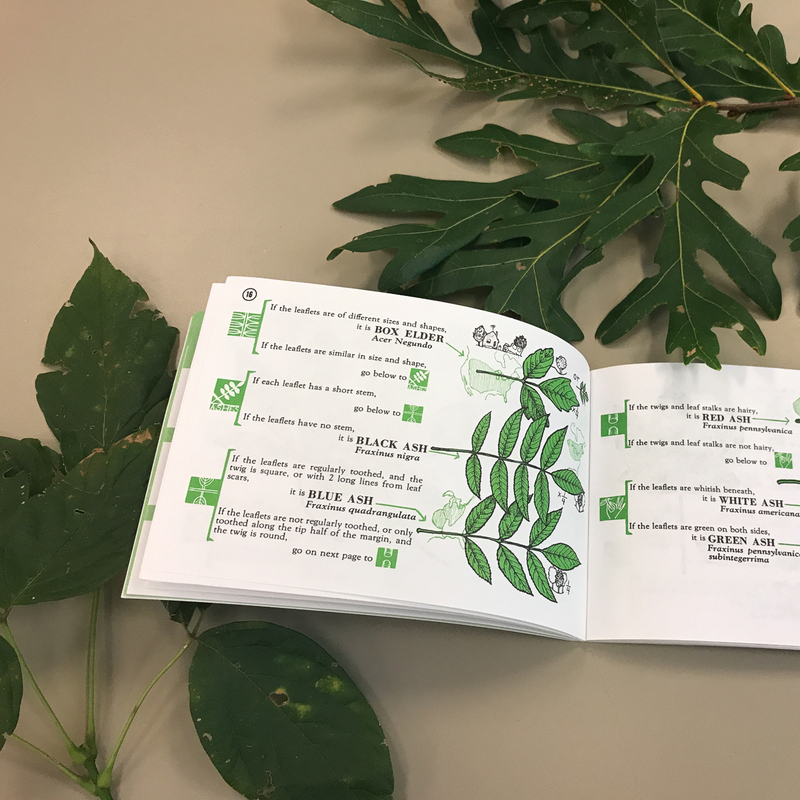 These recommendations usually come from the printed materials (university research), the instructors (extension and personal experience) and fellow participants (what they’ve tried in their garden and how it turned out). 3) So many recommendations on resources! Everyone’s favorite places to order seed, the best brand of garden tools, the best brand of wood mulch… there are recommendations for everything. I particularly loved finding out about local places to get soil & compost, garden supplies, and favorite nurseries. If you’re thinking about going through the program, I would definitely say go for it! Hello! I'm Nikki and I'm in the second year of establishing my farm in Cincinnati, OH. I grow cut flowers for sale, food for my family, and experiment with native varieties for bouquets, food and dyes. I'm working to restore a large portion of my 5 acres to a more native state. I'm also the founder of Plantalytics, a technology startup creating digital tools to save small farmers time on planning and recordkeeping.